Services and extensions from Beds24, our partners and 3rd party developers. Wishbox is the perfect host- automate all guest communication, generate more revenues and enhance guest experience. Soft4Booking provides Beds24 enhanced with additional features. The YourWelcome tablet was designed to improve guests’ experience from the moment they check-in. It provides them with information about the lodgin, the local area and guests can even find tickets & deals to local attractions. Enter beds24 as coupon code when you sign up and receive 10% off your order. Co-Reception provides solution and consulting for Property Management in Japan. Services provided includes Beds24 in Japanese language, Shift/Schedule application for Beds24, Connecting Beds24 to Japanese Channel Manager. 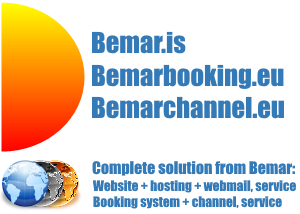 Web development, Beds24 integration and customization, full-service solutions, set-up service, customer support, consulting, Airbnb co-host service. Web development, hosting, Beds24 integration and customisation, full-service solutions. Customized solutions for Iceland: Borgun payment gateway – Icelandic Wiki database – Kashflow accounting software with Icelandic adjustment – Customer service in Iceland 24×7.